At Best Windows, Inc., we pride ourselves on helping each one of our customers achieve their goals. Whether you are replacing windows in your home or commercial building, we’re confident we can find the products that meet your project’s budget and design goals. Our Chicago window contractors are honest, hardworking, and knowledgeable, and our goal is simple: to offer the best window replacement services in Chicago, full stop. We promise we can beat any written quote for window replacement with a National Fenestration Rating Council (NFRC) U-rating of .27 or lower by 15%. Rather than working with pushy window salesmen who are shouting things like, “TONIGHT-ONLY DEALS,” ignore that high pressure sales tactic. Instead, work with the best window replacement company Chicago has to offer: Best Windows, Inc.
We don’t stop at providing the best window replacement Chicago has to offer. We also provide general contracting tasks, construction management services, design and build consultations, and remodeling services. Plus, we can help with everything from the installation and replacement of your home windows to improving your home’s siding, roofing, and patios. Our experienced window contractors are fully insured, licensed, bonded, and Environmental Protection Agency (EPA) lead paint certified. 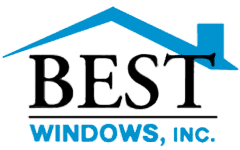 If you’re hoping to work with some of the best window replacement companies Chicago has to provide, it’s time to contact Best Windows, Inc. We have been offering home window replacement services in Chicago for more than 15 years and have developed an excellent reputation for honesty, integrity, and an overall commitment to doing the best that we can for our customers. 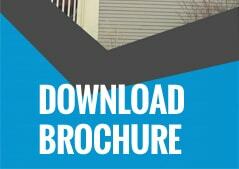 To learn more about home window replacement in Chicago, give us a call today: 708-204-2446.